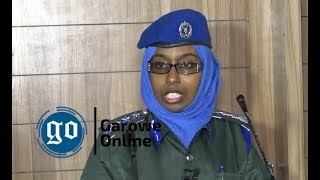 GAROWE, Somalia Dec 11, 2014 (Garowe Online)-Media Association of Puntland (MAP) appealed to authorities on the ground to provide conducive media atmosphere and show off commitment to the safety of journalists on occasion of Human Rights Day, Garowe Online reports. Addressing participants at an event that was held under the theme ‘Every day is Human Rights Day’ in the state capital of Garowe on Wednesday, MAP chairman Faysal Khalif Barre called on Puntland authorities to give a democratic space to media workers:” I call upon the authorities of Puntland to give space to Journalists to exercise their work and ensure that freedom of expression and press are practiced and respected”. 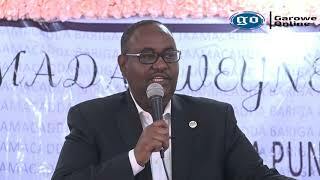 In attendance was also Puntland’s Minister for Information Abdiweli Hirsi Abdulle (Indhoguran) who welcomed amendments by Media fraternity to the state’s draft media bill. Abdulle unveiled that the government will put new journalists safety measures in place in step towards improved protection. 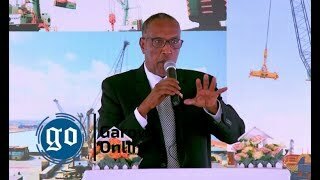 The well-organized ceremony at Puntland Development Research Center (PDRC) building attracted Women Development and Family Affairs Minister Anisa Abdulkadir Haji Mumin, United Nations Assistance Mission in Somalia (UNSOM) officials, Relief International (RI) representatives and civil society organizations. 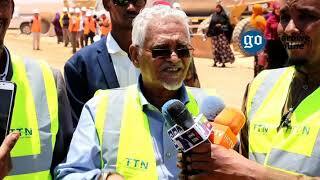 Puntland parliament passed a draconian media law which was labelled ‘restrictive’ by media groups on July 21. 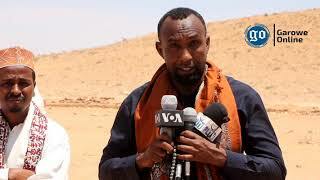 Earlier on Sunday, Nugal regional police commander threated Radio Garowe journalist Ali Abdi Du’alle with arrest, a move that drew strong condemnation.